Home torontorealtyblog Selling Before Buying: For Whom Does It Make Sense? Selling Before Buying: For Whom Does It Make Sense? Some SuperBowl last night, huh folks? Actually, I don’t know if that’s true. I’m writing this at 7:15pm, with my phone off so that nobody plays spoiler, with the intention of starting the game around 8pm so we can fast-forward through the commercials and halftime. That’s what a lot of fans would be asking, although I might argue those are Superbowl-fans, not football-fans. Football fans, I would offer (or generalize…) could not possibly care less about watching commercials, since 99% of the world, 99% of the time they watch TV, would rather not see commercials. After all, that’s why Netlfix, Amazon, and online streaming are so popular! So why do people want to watch commercials during the Superbowl? I know they’re new, and often innovative, but they’re still commercials! And Maroon 5? Tell me you’re a huge fan, go on. If I could see Michael Jackson a la 1993, or another “Wardrobe Malfunction” with J.T. and Janet Jackson, you might pique my interest. Actually, add Prince in 2007 to that last. He was awesome, and I was never a big fan. So go on, tell me you’re a diehard football fan, you’ve been in a fantasy football pool with the same ten guys since 2003, you have an autographed Brett Favre football next to your bed, and you do watch the commercials and halftime show in earnest. Then, I’ll tell you that you’re simply having a go at me. Alright. So when we start the game at 8pm, we can finish with the help of fast-forward by 10pm, and I call that a victory. Time is my ever-constant opponent in this life, and thus I never give up an opportunity to beat it. Now just for fun, how about a couple of predictions? I predict that New England will win the game by a score of 27-17, Tom Brady will be the Superbowl MVP, and all the Brady-haters out there will continue to lick their wounds. So let’s get to the topic at hand, shall we? Selling before buying. A seemingly-innocuous topic, but one that gets more interesting as you begin to explore it. I’ve been in real estate for 15 years, so if you had to guess how many clients I represented that bought and sold, who sold first, how many would you say that is? No. The answer is one. I represented a client several years ago who owned a home in Cabbagetown, and he believed that it was absolute madness to buy a property before selling one. No matter the circumstance, financial situation, or risk tolerance, he thought that the idea was crazy. I would agree, if we weren’t in Toronto. Every single “move-up” buyer I have represented over the years who owned a condo, and wanted to either purchase a larger condo, or a house, has purchased first, and then turned around and listed his or her existing property for sale. And they’ve all sold. All except one, back in 2015, which is a story for another day. In every case except that one damn condo on Lombard Street, every one of my clients who purchased a property was able to turn around and sell, firm, before the closing of their new purchase, and either obtain a bridge loan (if they so choose), or close the new purchase first. It’s not hard in the city of Toronto, given our market. But that one Cabbagetown client of mine simply refused. He argued, “How can I buy when I don’t know how much I’ll get for my house?” I explained that we were listing his house at fair market value (this wasn’t an “under-list,” hold back offers proposition), and that I expected to literally be sold within a week for 98-100% of the list price. And in the end, he did exactly as he proposed. We sold his house in five days for the full list price, and then we went out that weekend, saw a few condos, and he “picked” one that he liked. Okay, it was more than that – he happened to see an awesome hard loft in a converted church that came out the day before we started looking, but he really, truly did just go out and buy like that. That was back in 2014, and I haven’t had another client suggest this approach since. Until now. Two different sets of clients have told me in as many weeks that they want to explore the possibility of selling before buying, and for two different reasons. The first set of buyers live outside Toronto, and while eyeing a few homes that have been languishing on the market, they can’t help but be cognizant of the fact that they might suffer the same fate. I might argue that the new-build homes they’re looking at are always priced high by builders as a strategy, with the per-month carrying cost simply factored in from the start, whereas most resale homes sell faster. But either way, the idea that they could buy a home, list theirs, and have trouble selling isn’t lost on them. The second set of buyers own a unique west-end loft for which pricing is proving difficult. With only one sale in the building in the past twelve months, our delta for expected sale price continues to grow with each passing day. Since they’re using the sale proceeds of the condo to purchase a new house, a $75,000 difference, up or down, could make a major difference in terms of down payment. $75,000 in the context of a $1,400,000 purchase price might not sound like much, but if you’re putting down 20% of that $1.4 Million, or $280,000, having that $75,000, or not, is a game-changer. You might argue that none of us really know for certain what a property is worth, and/or what it will sell for, but we can usually come pretty close. And in a hot market, we usually know that the amount a property sells for is far more likely to be above expectations than below. But in my clients’ case, with all of their down payment coming from the sale of their condo, they don’t like the risk/reward proposition. 1) Purchase for a lower amount, and then sell the condo. 2) Sell the condo first, then buy a property based on affordability as a result of the condo sale. The problem with this is that they don’t like option #1. They want to buy to their max affordability because they see this is a long-term move, and potentially a home they could stay in very long-term, ie. 20+ years. They have excellent incomes, and they can afford the carrying cost on a much higher property than that at which they’re looking. The issue is simply down payment, and this is something I’m seeing more of these days – buyers with big salaries who can carry big mortgages, but who lack the savings for a down payment. For this set of buyers, every dollar more that they receive on the condo sale, theoretically, is another five dollars they can spend on a new house. And so as we continue to go through the motions, Option #2 seems like a more realistic ending. Now what’s the downside to selling first? Why all the chatter on my part? And more importantly – why does everybody usually buy first? Well there’s two reasons really: homelessness, and pavement-pounding. And while those could be perceived as linked when viewed in a literal context, they’re two different problems in our real estate example. 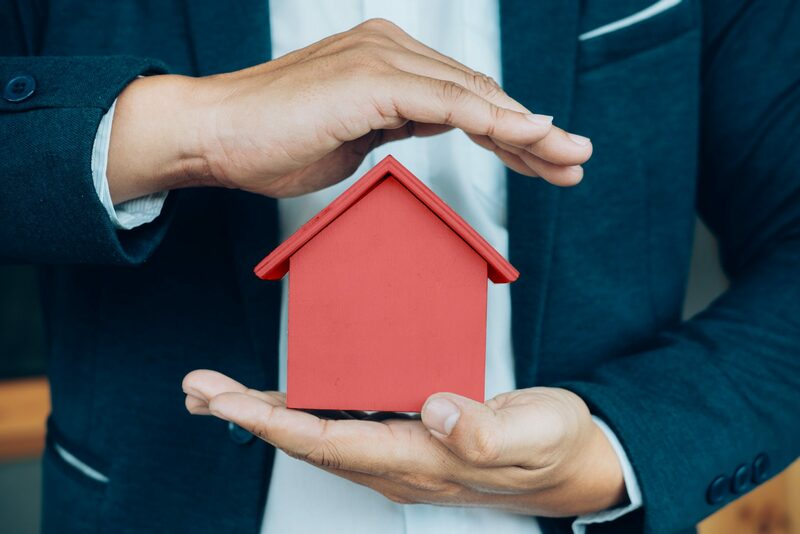 First, if you sell your home and are unable to buy a new home and close it before the sale of your existing home, then you have nowhere to live. Second, with low inventory levels, and a hot market, it’s often impossible to forecast how long your housing search will take you. Combine those two issues, and you could end up selling your home, having nowhere to live, and then renting some place while you run around the city looking at real estate and making offers for six months. I can’t say I’ve seen it happen, since as I noted below, I’ve only had one client ever sell before buying, and he purchased a condo six days after he sold his house (I just looked up the dates – he sold on a Monday, and bought the following Sunday), but theoretically, it makes perfect sense. If you sold your home today – February 4th, and were scheduled to close on April 4th, you could be waiting one month, two months, or three months for that perfect Roncesvalles semi-detached, 3-bed, 3-bath, with finished basement, parking, and new renovation to hit the market. What if you went two months without any options? What if you bid on this house and lost, and then didn’t see another house come out for a month? Remember how our market works. I once wrote a blog about the “average number of offers” my freehold buyers submit before being successful, and while I can’t recall the number off-hand, we know it’s not one. You might have to submit two, or three, or six offers on houses before you’re successful, and to have six houses on which to bid, you might be waiting nine months. My Cabbagetown home-seller presumably could have “made do” with six or seven different condos that were on the market when he was looking. But a freehold-buyer is always looking for something more specific. And you could easily argue that there’s more choice in the condo market. If you’re willing to rent for a few months, and can find a place that doesn’t want a one-year lease, then you could be okay with selling before you buy. If you aren’t that choosy, and/or are looking in an area outside the core that has more inventory, then selling first might work. But I always look at my past experience as an indicator, and having had one client do this in 15 years, I don’t know that the other six-hundred-some-odd can be wrong.